The light streams through the blinds and tickles my eyelids. I am slowly pulled from a nasty dream brought on by last night’s wicked storm. The faint melody of birdsong rouses me to full consciousness. I waken refreshed and renewed. With a slow lumbering yawn and cat-like stretch I move closer to the window. The streets are still wet with last nights revelry. They glitter and shine in the morning’s surprise sun. The world seems fresh and new after a long rain. As the sun shines it graces everything with a wee bit of hopefulness. It’s as if the sky has had a good cry and is now sporting a beaming shiny bright smile. I myself always feel good after a good cry. I suppose that is why it is called that: a good cry. I have always been the sensitive type; prone to cry easily and at times for what I will later deem silly reasons. I used to be ashamed of my sensitivity. I hid it well behind a veneer of fake indifference but now I am proud of my sensitive nature. I know I am far from the only one who feels the way I do. Crying is basic. It is humbling and very human. It puts us in touch with our very basic of needs. It makes us vulnerable. It is generally thought of an activity of one who is sad but sometimes the act of crying can denote joy. I have cried at the birth of both of my children. The first time this took me by surprise as tears of pure joy often do. I have also shed tears for the normal reasons of loss and rejection….misfortune, unfairness and at times simple frustration. I have wept at the loss of loved ones and upon witnessing the death of a tiny bird on my front steps. Music makes me cry, certain songs do it every time. These I generally avoid, except on certain rare occasions. I always feel better after I do. Crying is good for you. And this is not just in my imagination. Many scientists agree with the theory that emotional crying is the body’s way of ridding itself of toxins and waste products that build up in times of elevated stress. The phrase “having a good cry” suggesting that the act can make one feel better physically and emotionally better is not far off the mark. 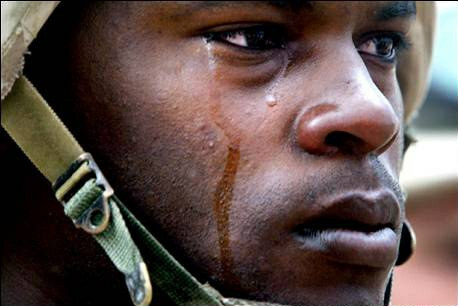 Crying is a great way to release pent up emotions, frustrations and stress. It restores the mind to a quieter place. Holding your emotions in can be dangerous over the long-term. 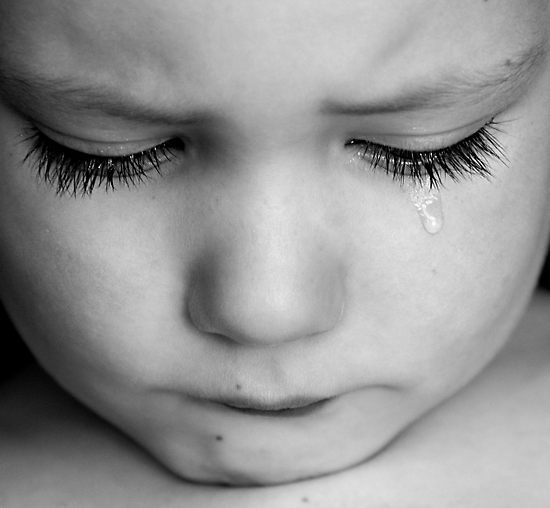 In fact, research indicates that stifling emotional tears can cause elevated risk of heart disease and hypertension. 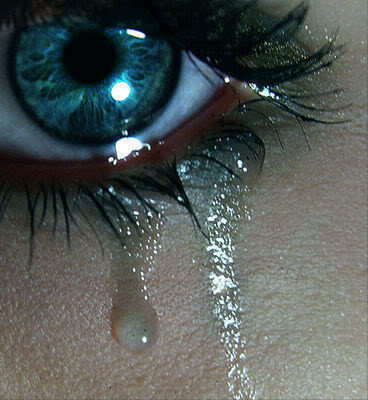 “In fact, three types of tears exist, all with different purposes. Basal tears are omnipresent in our eyes. These constant tears are what keep our eyes from drying out completely. The second type is reflex tears, which serve to protect the human eye from harsh irritants such as smoke, onions or even a very strong, dusty wind. Reflex tears are generally found to be about 98 percent water, whereas several chemicals are commonly present in emotional tears [Source: The Daily Journal. First is a protein called prolactin, which is also known to control breast milk production. Adrenocorticotropic hormones are also common and indicate high stress levels. The other chemical found in emotional tears is leucine-enkephalin, an endorphin that reduces pain and works to improve mood. I think society treats males unfairly when it comes to the issue of crying and emotions in general. It is crazy, nonproductive and downright unrealistic to think that boys and men do not have feelings. Men may deny they have them to each other but we mothers and wives and sisters know better. We as a people are in constant change. We have evolved and adapted to our circumstances. I do think we as a species are on the road to enlightenment but is a long one. Despite the harshness of the state of the world and apparent accelerating violence everywhere, I do believe that on a one-to-one individual basis people are growing kinder, gentler and more tolerant. In my own experience living on this planet for 44 years I have noticed this trend and it is encouraging. The acceptance of the showing of emotion is just one aspect of this shift. How Crying Works _Hoyt, Alia. “How Crying Works” 02 July 2008. HowStuffWorks.com. <http://science.howstuffworks.com/life/crying.htm&gt; 17 February 2014. A truly lovely post. Thanks for sharing! I believe some people cry hard and long without tears…. Nice post, Sb. Thanks Amy. Crying is a funny thing and individualistic for sure. Bless your heart. I have been thinking that it’s time for me to have a good purge (cry) real sobbing gut wrenching cry. Life has been good but I want to cry lately. Can’t find a good movie or book that will make me cry. Darn it. Music does it for me Seeker…. I agree, men in our society still deal with the stigma surrounding expressing emotions. And yeah, I admit I cried when Bambi’s mother died…and Mufasa. I never could watch the “reach out and touch someone” or the “cotton, the fabric for our lives” commercials without tearing up. Like you, I tried hiding my sensitive nature and easily flowing tears for a long time. Now, I acknowledge that it is my tender heart and the tears that so easily flow forth that make me who I am. I agree with you …. If we could all let our tears, instead of our anger, flow forth (no matter what gender we are) the world would be kinder, faster. Great post, Nancy! Oh Janet, YOU are a gem! “The fabric of our lives” got to me too. What a fine example of the subtleties of direct manipulation by advertisers. They had it down even back then. I am so glad to know you and your tender heart. Thanks my friend for showing up. Yes, crying can make me feel better too, and I do tend to cry very easily… dramas and documentaries on TV set me off frequently! My little dog cries if separated from her “sister”, our wolfhound. She doesn’t produce tears, but sobs just like a child, with big, sobbing deep breaths in between. It’s heartbreaking, and we try never to separate them unless it’s absolutely essential!